When your plan lands in Medellin, what’s your plan? Probably call some form of public transportation and hope for the best, right? We’re not sure why anyone, after all that traveling, would want to put up with the discomforts of more public transportation; especially when you have other options out there. How about when you’re all settled in and want to explore the city? Public transportation again, ey? 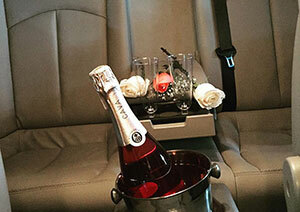 You have better options out there, such as our professional transportation services. Your plane has finally landed in Medellin and your legs can’t stand to be cramped in another compact space. If you arranged an airport pick-up with us prior to your departure, than you can skip that uncomfortable ride to your hotel amongst public transportation. Even before your plane is scheduled to touch down, one of our professional and courteous drivers will be standing by, awaiting your arrival. If you’ve ever been jealous of travelers that have a name play and a suit waiting for them, at their destination, this is your chance to quell that jealousy. From basic town cars to impressive limousines, you can be transported to your accommodations in luxury. You’re on vacation, so you might as well make the most out of every aspect of this excursion. Beyond airport transportation, though, we also specialize in offering private drivers during your trip to Medellin. Face it, unless you’ve been here several times, you’re not going to be comfortable with the city at all and, at some point, you’re going to need help with directions or in trying to find a decent place to eat. If you book one of our experienced private drivers, all of that will be at your immediate disposal. With a private driver, you have yourself a key to the city; an all access pass to everything awesome about Medellin. That secret little eatery with the exquisite cuisine that only locals would know about? Your driver will know where to find it. The amazing picturesque spot right outside of the city with flawless views of the mountain ranges? Just mention that you want to see something unique and your driver will take you there. You don’t know the city, so there’s no shame in wanting help from someone that does, especially if you don’t leave the comfort of your home country all-too-often. Your private driver will be a courteous member of our crew, someone who knows Medellin inside and out. Outside of drive you to and from your desired destinations, they will also give you tips on where to party each night and how to get the most of your time in the city. We can’t think of a reason why you wouldn’t want to use this service.